The Tullahoma, Tennessee native is a graduate of St. George's University School of Medicine in Grenada, West Indies. There he was recipient of the Charles R. Modica Award for Clinical Excellency. Board certified in Family Medicine, Dr. Colyar has over 15 years of experience, always drawing inspiration from the “old-time” family doctors, who took a deep interest in their patients and formed long-lasting relationships. 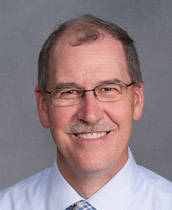 He has been with Pinnacle Family Medicine since their doors opened in 1999. Healthcare runs in the family, as Dr. Colyar is married to another medical professional – a registered nurse. Together, they have two beautiful children. In his spare time he likes to play golf and work around the yard but most of all to spend time with his family.